Is The Olympic Project Dead? 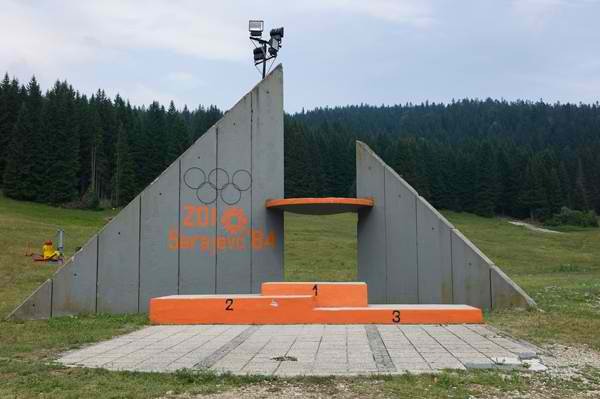 The Olympics. My primary school education taught me that this four-yearly event was all about peace, mankind working together, triumph overcoming adversity, and a celebration of our similarities – a forgetting of our cultural differences. I’m a girl who spent her teen years attending folk festivals and doing fey circle-dancing with hippies and visiting musicians from Zimbabwe. I’m all for inclusion and global harmony – and it makes sense that the Olympics would appeal to my sense of community and celebration of difference. After the London 2012 Olympics, the link between world harmony, sporting achievement and gross national debt appears more tenuous to me than ever. 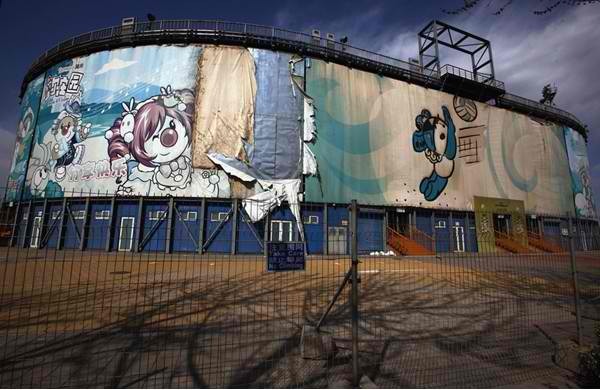 Having observed Beijing’s Olympic stadia rot and fall into disrepair since their Olympic torch was quenched, I began to worry about the communities left with Olympic debt (and subsequent poor town planning). Is the cost of running an Olympics worth the years of debt and repayment for the host community – and is the claim that the national promotion and business investment resulting from hosting an Olympics outweighs any cost really a believable? The London 2012 Olympics cost their nation $14.5 billion dollars. The original estimation of cost was $3.9 billion. Do the math on those figures. The Montreal Olympics were finally paid off in 2009 – after having run their own event in 1976. Can you imagine the interest costs on such loans for either community? Imagine the more worthwhile ventures they could have pumped those millions into – supporting small business, creating opportunity and better education, improving healthcare and transport, beautifying their own cities without studding them with concrete stadia. Nope, the Olympic project is no longer what it was. This isn’t to disparage London 2012 as being a ‘dud’ Olympics. It was not poorly run, it had plenty of drama and fun in both opening and closing ceremonies. But at what cost to the community – and at what gain to the IOC? I smell a fish when it comes to Olympic bids – and I doubt my suspicions are unique. The process of applying to host the games seems one ripe with opportunity for kick-backs, inappropriate favors and general corruption. Much like the FIFA 2022 World Cup bidding process (into which Australia invested millions of dollars), clouds of concern over corruption and pay-offs to secure votes hang over the Olympic race. 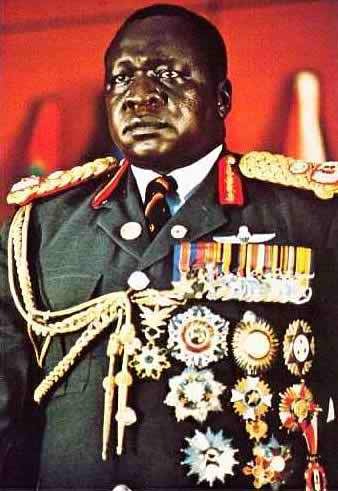 During Juan Antonio Samaranch’s years as head of the IOC, there were repeated claims of IOC officials being offered bribes in exchange for their votes – at one point, Ugandan Dictator Idi Amin was even bestowed the honor of being an IOC delegate. This process hardly speaks of the Olympics values I was taught to admire back at Olinda Primary School. I recently read an excellent article in Vanity Fair which looked at the kind of money made by corporations and the IOC from past Olympics. Every two years (given that there’s a Winter Olympics every four years too), the IOC make 4 billion dollars from their broadcast rights to the Games, and a further $960 million from corporate sponsorships. From this profit, the IOC commit only $1.6 billion to the cost of holding the Olympics. Remember, the United Kingdom have just forked out $14.5 billion for their games. So who is really benefiting from this poison apple, this wooden horse of a cultural collusion? Large corporations who dominate the Games such as Coca-Cola, McDonalds, Adidas and others. True, these brands pay their fees for the privilidge – but then squash the aspirations of businesses local to the event who wish to profit from Olympic exposure. IOC invigilators protect the brands who have paid them so richly to associate with the Olympics, removing contrary Olympic branding from bakeries to butchers, covering sponsor-badges on athletes caps and jackets. How is the host country enjoying any ongoing benefits if their own small businesses can’t make money from the event? After all, these small businesses employ the millions of poor buggers paying back the obscene loans taken out to hold the Olympics. And what of the athletes, most of whom devote their lives to the possibility of grand achievement on the Olympic stage, often paid only a pittance – a lucky few athletes garner sponsors. Shouldn’t they enjoy some benefit from the amazing show of their dedication and skill? What harm cross-promotion for these athletes – and what harm some remuneration for their efforts? Despite my love of the Spice Girls and camp extravagant ceremonies, the London 2012 Games is the final nail in the coffin of my Olympic idealism. All I could see were greased palms, tightly-controlled media and social media coverage and debilitating debt for a nation which only a year ago was enduring rage riots born of poverty. Not the coming-together of nations, the kindness and the sympatico that the Olympics should convey – the one I remember feeling such joy and anticipation over as a child. If you enjoyed this opinion piece, you’ll like The Olympic City Project.